The Thylacine (thy-la-seen) appeared 4 million years ago and went extinct in 1936 do to over hunting. The Thylacine was hunted because it was hunting farmers small livestock like chickens and goats. 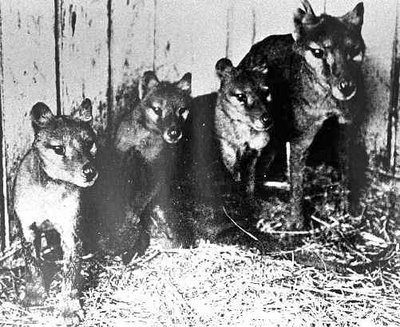 The last known Thylacine named Ben died in captivity do to neglect by her keeper. The Thylacine has many names like Tassey tiger, Tasmanian tiger, and Tasmanian wolf. DNA has been extracted from 4 Thylacines that have been dead and preserved in ethanol for 100 years. This is not a Thylacine embryo above. 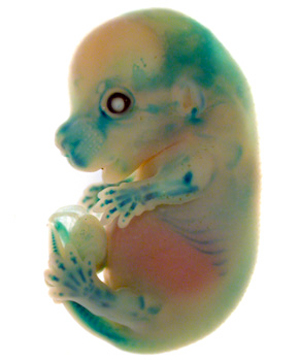 It is a mouse embry0 with the Thylacine gene (shown in blue) in it. The gene is called Col2a1, and it appears to have something to do with the animals cartilage. This is a meagre breakthrough for science. The Thylacoleo (thy-la-ke-leo) was a carnivorous marsupial that lived in South Australia 1 million to 35 thousand years ago. 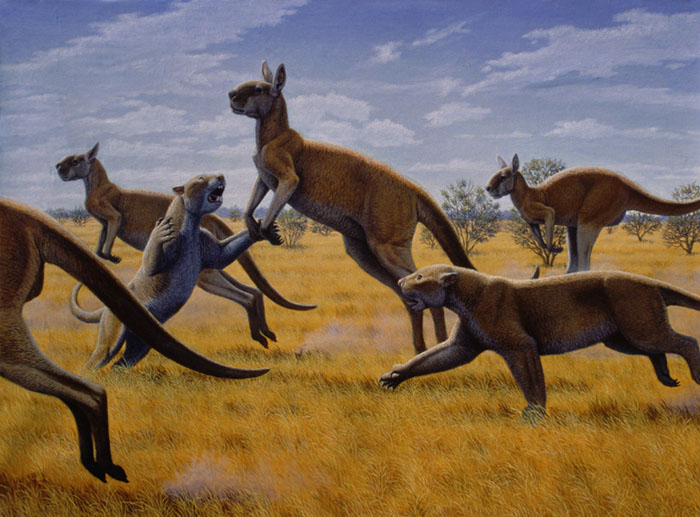 The Thylacoleo also known as the Marsupial Lion hunted Giant kangaroo and a extinct kind of wombat called Diprotodon (dip-pro-to-don). 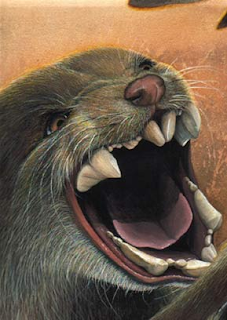 The Thylacoleo probably lived with its mate for life, but no one knows about that yet. scissors combined. You would not want this marsupial coming at you if it were alive today.